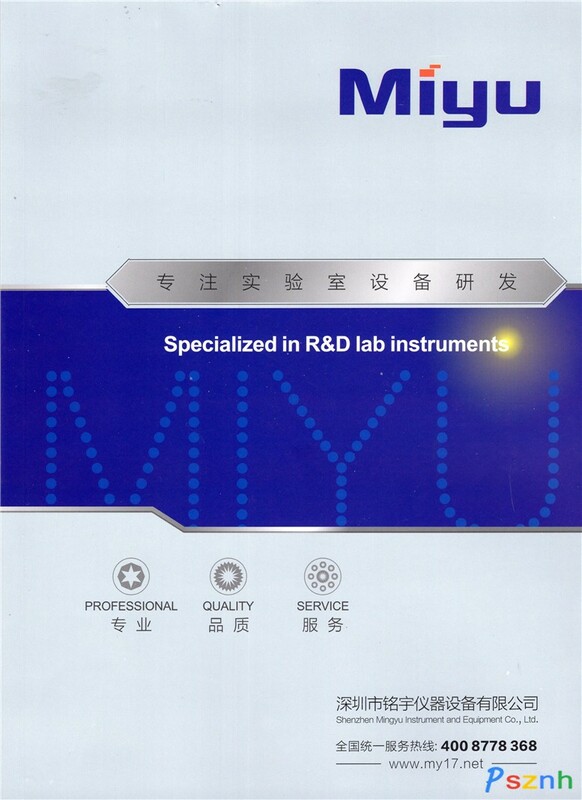 Shenzhen Mingyu instrument and equipment is established in 2003, which is registered capital 10 million RMB. 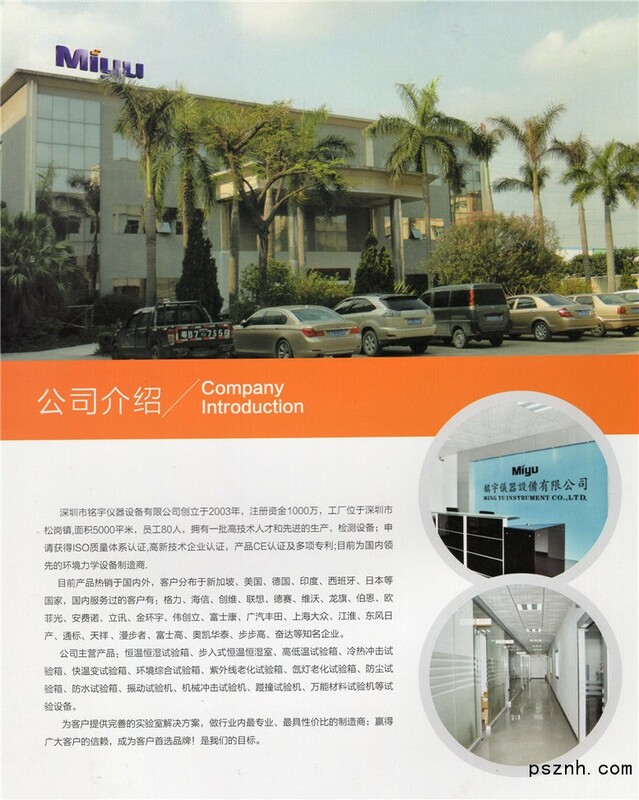 Our factory is located in Songgang Town, Shenzhen and 3,500 M2.Our fifties staffs are engaged in the industry for many years with advanced manufacturing and testing equipment. The company has applied and obtained ISO,CE certification and multi patents as well as Hi-tech enterprise qualification. We are now a leading environmental mechanics manufacturer in China. Our products now are sold widely to domestic market and overseas markets, which areincluded Singapore , USA, Germany, India, Spain and Japan etc. Our customers in China have some famous enterprises ,such as Gree, Hisense, Skyworth, Lenovo，DESAY, VIVO, Longcheer ,BIEL ,O.film, Amphenol, LuXshare, ,Jinhuanyu, Flextronics International Ltd, Sicomm,GAC TOYOTA Motor Co.,Ltd., SAIC VOLKSWAGON,JAC Motors, Dongfeng Nissan,TOBY,Intertek ,Edifier, Fuosgao, WATA,BBK and Fenda etc.